Despite its name, Ringworm does not have anything to do with worms. Instead, it is a common and highly infectious skin infection, which is caused by a fungus that causes a ring-like red rash on the skin.Ringworm is very common. It’s estimated that 10-20% of people will have a fungal skin infection at some point during their lifetime. People of all ages can be affected by ringworm, but children are particularly susceptible to it. The rash can appear almost anywhere on the body, with the scalp, feet and groin being common sites. Medically the condition is known as tinea and it is not serious. It is usually easily treated. However, ringworm is highly contagious and is easily spread among people. You need to see a licensed health practitioner if you or your child has ringworm of the scalp. Ringworm is passed between people through direct skin contact and by sharing objects such as towels, hairbrushes and bedding. Pets, such as dogs and cats, can have ringworm and can pass it on to people they come into contact with. Scalp ringworm (tinea capitis) is most common in children who have not reached puberty (sexual maturity), particularly those who live in urban areas and African-Caribbean children. Body ringworm can affect anyone of any age, although groin infections are more common in young men. Ringworm can be recognized by its appearance which is a round, red or silvery patch of skin which may be scaly and itchy. The ring spreads outwards as it progresses. It is possible to have one or several patches of ringworm, and in more serious cases your skin may become raised and blistered. In very severe cases of scalp ringworm, a large inflamed sore called a kerion may form on your scalp. This can ooze pus, and you may also have a fever and swollen lymph glands. Exercising, walking and wearing tight clothing or underwear can make the symptoms of a groin infection worse. It’s also quite common to develop a groin infection in combination with athlete’s foot. This can happen if you have athlete’s foot and you scratch your foot and transfer fungal spores to your groin when dressing or going to the toilet. It’s really important, where possible, to prevent spreading the infection. You should avoid sharing towels, bedding or clothes with someone who has been diagnosed with ringworm. If you think your pet has ringworm, take it to the vet. If your pet is treated quickly, you will be less likely to catch the infection from it. If your child has ringworm, they do not need to stay off school. However, you should inform the school that your child has the condition. In addition to treatment, your child should maintain a good level of personal hygiene to prevent the infection spreading. As an adult, you can become a carrier of scalp ringworm without developing any symptoms. This is because your body has usually developed a defence against the infection by the time you reach adulthood. If you are a carrier of a ringworm infection, you can unknowingly pass the condition onto children, who may then go on to develop symptoms. A healthy diet is one of the most important steps for successfully treating candida, which can be a cause of ringworm. The goal of your diet should be to reduce or eliminate the foods that Candida albicans and other yeasts thrive upon, and to create a slightly alkaline internal environment that is rich in oxygen, making it extremely difficult for unhealthy yeast and other pathogens to survive. To eliminate foods that support yeast overgrowth, avoid all sources of sugar, including all sugar products such as sucanat, honey, molasses, maple, agave, brown rice, and all of the refined syrups such as corn syrup. Read food labels, carefully avoiding foods that contain sweeteners of any kind, including those listed above, along with dextrose, fructose, fruit juices, or concentrated fruit juice sweeteners, lactose, and sucrose. Eliminate all forms of alcohol, and simple or refined carbohydrates such as bread, pasta, baked goods, and all foods made from white or refined flour. Abstain from most fruits with the exception of berries, grapefruit and green apples. Refrain from eating potatoes including yams and sweet potatoes, and other sweet or starchy vegetables such as parsnips, beets, peas and corn. 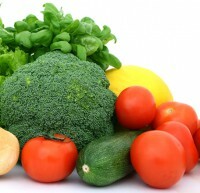 More diet details can be found in the Candida Cleanse. Most people with candida also suffer from food allergies. Therefore, it is important to be tested for food allergies and sensitivities, and to avoid allergic foods for a minimum of three months, so that your body has the opportunity to recover from the burden of eating them. If the foods to which you are allergic or sensitive are healthy foods, you can reintroduce them into your diet one at a time after your health has improved, and then eat them no more frequently than once every four to seven days. If they still provoke an allergic reaction, however, you should eliminate them from your diet. Mold-containing foods should be avoided such as cheese, grapes, mushrooms, and all pasteurized fermented foods. Raw cultured vegetables that have not been heat pasteurized such as sauerkraut, Kim chi, and other raw cultured vegetables, are an excellent choice. Read more about the benefits of cultured and fermented foods in the Candida Diet section of the Candida Cleanse. Every effort should be made to eliminate pasteurized milk and dairy products, including yogurt, due to the lactose sugar. Small quantities of raw yogurt or kefir are acceptable, and especially good if made from raw goat, rather than cow’s milk. Minimize your intake of commercially harvested meats and poultry because of the antibiotics, hormones, and steroids they contain. Whenever possible, choose organic, free-range meats and poultry instead. Eliminate: All foods that contain yeast, including bread, biscuits, and cakes; all pasteurized heat treated fermented foods, including vinegar, soy sauce, and pickled foods; all forms of sugar and foods that contain sugar, including sweets and chocolates, honey, maple syrup, soda, sweetened drinks, and sweetened foods; all pasteurized milk and dairy products, including yogurt; all foods that contain artificial sweeteners, colorings, preservatives, and other additives, as well as trans-fatty acids and partially hydrogenated oils; all refined white flour products; all fruits except grapefruit, berries and green apples; all alcohol products; all black teas, and coffee. Eat Frequently: Choose from a wide range of fresh vegetables and salads, emphasizing organic, leafy-green vegetables; complex whole grains, especially quinoa, buckwheat and millet; garlic; and cold-pressed raw coconut and extra virgin olive oil. Also include, but less frequently: Lean, organic meats and poultry; wild caught fish; eggs; almonds; seeds, and complex grains and legumes. Eating in this way will not only help your body’s recovery from candida, it will also help shift it into a slightly alkaline, oxygen-enriched state that will make it impossible for Candida albicans to thrive. For more in-depth food and supplement guidelines, see the Candida Cleanse, please. Take Vitamin D3 50,000-100,000 International Units a day to fight infection in the body.